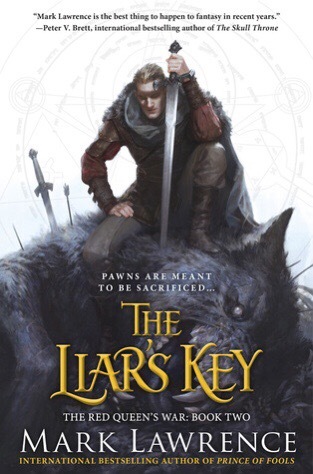 The Liar’s Key is second book in The Red Queen’s War series by Mark Lawrence. Kudos to Mark Lawrence for beginning this book with a nice refresher on the first book of this series in a short yet concise manner. It did bring something new to light for me. I fully understood that Snorri, being a Viking and all, was from Norway, but for some unknown reason I did not cop on that Jalan’s home in Red March was in Northern Italy. I have to say that I feel really stupid, but not once reading the first book did I grasp this. Thanks for enlightening me Mark! The twist at the end of the first book left Jalan and Snorri bound together under the Silent Sister’s spell, however they have exchanged light and dark spirits now. Jalan is now haunted by the dark spirit, Aslaug. Snorri is now haunted by the light spirit, Baraqel. The spirits whisper at them and still try to induce suspicion of the other’s motives. As we rejoin Jalan, he is holed up in the northern town of Trond with Snorri and Tuttugu. After nearly losing their lives at the Black Fort, they have recovered and are waiting for winter to recede so they can resume their travel. Snorri is in possession of Loki’s Key, a magical key to open any lock. Snorri hopes that it will gain him entry to death’s door, in order retrieve his dead wife and children and bring them back. He wants Jalan to continue on the journey with him but Jalan is yearning to go home and resume his life. This is the first hint that his progress toward maturity has not been hastened. He spends most of his time longing for his princely days when he could drink, gamble and chase women to his heart’s content. Yet Jalan hasn’t stayed completely out of action just because he’s not yet home, and soon his antics catch up with him and he finds himself fleeing Trond in a boat with Snorri and the ever-loyal Tuttugu. Snorri’s quest to find death’s door leads them confer with the ice witch Skilfar, who offers up her new apprentice, Kara as a companion on their journey. Old secrets are revealed through the blood magic that Kara works on Jalan. This blood magic brings on a series of intriguing flashbacks in which we learn some of Jalan’s family history such as how the Red Queen became the iron queen feared across the south, more about her siblings and answers to how Jalan’s mother died. In a brief separation from his companions, Jalan does make his way home, but nothing is as it was when he left. His expectations are dashed and he is happy to leave again on an assignment for his uncle, Garyus. Again we get a deeper understanding of the world Jalan lives in as he travels to a new city and enters the merchant banking world where of course, more trouble awaits. Jalan eventually finds himself reunited with his travel companions and once again caught up in Snorri’s quest to find the portal to the underworld. Through it all they are pursued by the Dead King’s minion, Edris Dean and his necromancers, who wish to gain possession of Loki’s Key for their own dark and deadly purposes. At the end of Prince of Fools, I felt that Jalan Kendeth was the epitome of the anti-hero, progressing to a full-fledged hero, much to his chagrin. 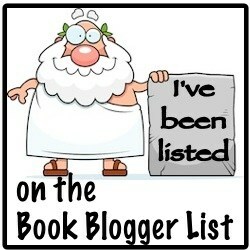 This may be a bit slower coming to fruition than I had anticipated! Jalan has stayed true to character and he is quite the character! Funny as hell! I could quote Jalan all day long, but since I was sent the ARC I won’t. Still the question lingers…who is the real Jalan Kendeth? Is he the vain, immature, avaricious and cowardly ne’er-do- well, leave-’em-in-the-dust-and-run guy that you can’t stand? Or is he that goofball friend who never appears serious, but will have your back in a pinch and fight by your side for what’s good and right? Jal does his best to avoid responsibility and has convinced himself that he is a coward of the highest form, but some of his actions speak louder than words. Despite myself I think I like him! Overall, this is a great second book in the series. The story grew by leaps and bounds and the character development and world building was fascinating. I certainly look forward to The Wheel of Osheim! I want to thank the publisher (Berkley Publishing Group) for providing me with the ARC through NetGalley for an honest review.